At the CHOYCE LAW FIRM, we understand the urgency of your legal matter and can provide the legal help you need. Contact our Fairfield accident lawyer right away to arrange a free consultation and we promise to explain your legal rights and give you the answers you need to know about your case. If you’ve been injured in an auto accident, dog bite, or slip and fall or other accident, you need an attorney who will not only work hard for you, but who will produce RESULTS. A recent broadside collision resulted in knee surgery for our client; we “busted” the driver’s insurance policy and recovered $100,000 for our client*. Dionne E. Choyce has acquired a great reputation for being a passionate and hardworking trial attorney. His courtroom development began at the University of the Pacific, McGeorge School of Law, where he helped lead the McGeorge trial competition team to a Regional Championship in the American Trial Lawyers Association Competition (ATLA). After graduating from law school, Mr. Choyce went to work for the Alameda County District Attorney’s Office (Oakland, CA), where he gained extensive courtroom experience prosecuting all phases of criminal cases, including jury trials, felony preliminary hearings, juvenile felony trials, as well as misdemeanor and felony law and motion hearings. Mr. Choyce has handled hundreds of traffic and DUI cases, and has mastered the art of skillful negotiation and plea-bargaining in this area, which allow his clients to receive the best possible outcome. As a former prosecutor in one of California’s toughest jurisdictions, Mr. Choyce understands how to evaluate a criminal trial case, and will vigorously represent his clients to possibly get criminal charges reduced or dismissed. With respect to personal injury clients, because Mr. Choyce has tried dozens of trials before judges and juries, he will not hesitate to seek justice by way of a jury trial when insurance companies fail to adequately compensate those injured in serious accidents. Mr. Choyce received his undergraduate degree in English (with honors) from Morehouse College in Atlanta, Georgia. He then went on to receive his graduate degree from Harvard University in Cambridge, Massachusetts. He earned his law degree from the University of Pacific, McGeorge School of Law in Sacramento, California. Mr. Choyce is a member of the Charles Houston Bar Association, the Wiley E. Manuel Bar Association, the Sacramento Consumer Attorneys, and the Sacramento County Bar Association. In his free time, Mr.Choyce enjoys reading, going to church, and spending quality time with his family. 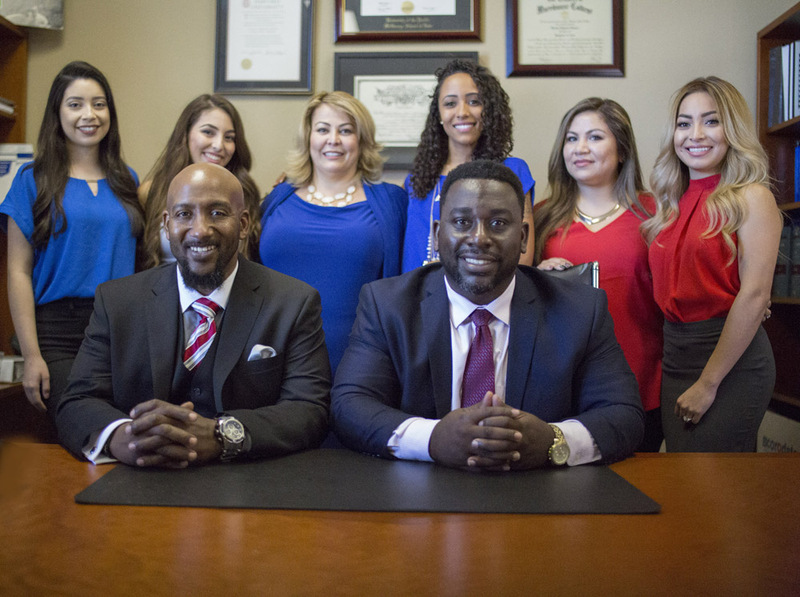 Yuri B. Hill has been fighting for his clients since being admitted to the California State Bar. His client advocacy skills were honed at the University of Toledo, College of Law where in addition to his studies he was a member of the Trial Advocacy Team, interned extensively with federal and local public defenders, and served as president of the University of Toledo Defense of the Wrongly Convicted. After passing the bar, Yuri entered into private practice in Sacramento focusing primarily on criminal law. His passion is being an advocate for his clients and standing in their place in the courtroom. Yuri’s first trial as a professional was a felony case in which he was able to win a favorable outcome for his client. He has not looked back since, as he has advocated for people facing traffic and misdemeanor charges to those with charges as serious as murder. The United States Constitution gives everyone a right to a defense. Yuri takes this charge very seriously and his personal mission is to fight for his clients so that they can receive the best possible outcome for their case. He understands the pressures his clients and their families face going through these stressful situations. He makes it a point to keep lines of communication open with his clients until the matter is completed. 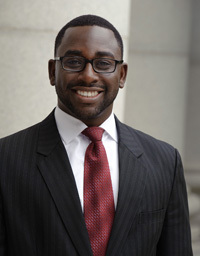 Yuri received his undergraduate degree from Howard University before attending the University of Toledo, College of Law. He is involved in several professional associations including sitting on the board of the Wiley E. Manual Bar Association. In his spare time, Yuri enjoys spending time with his family, attending church, sports, and reading.